An 18kt yellow gold and diamond cuff. 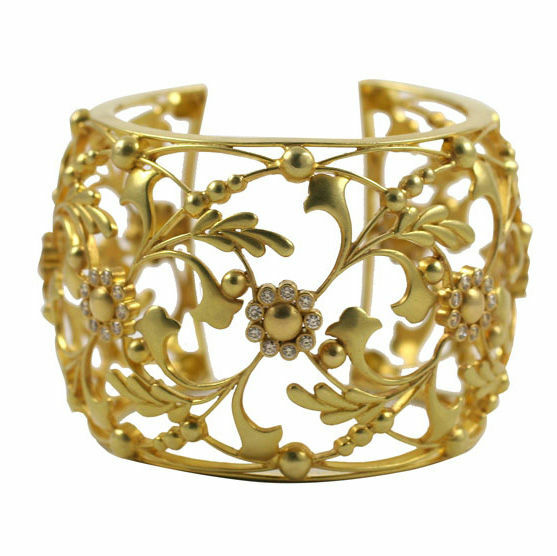 The cuff is composed of 18kt yellow gold vines, leaves and flowers. Each flower has bezel set diamond petals. There are approximately 3.75 cts of diamonds.Materials/Techniques: 18kt yellow gold and diamonds.